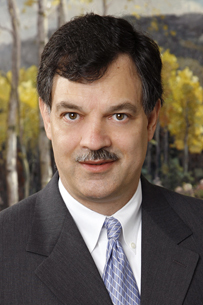 Dr. Batuello is both an attorney and a Board certified internal medicine physician. He currently practices hospital based medicine for a critical care group in the Denver metropolitan area as well as practicing law at Kresl & Singer. After graduating from the University of Notre Dame with a degree in aerospace engineering, Dr. Batuello worked as a control systems engineer at Martin Marietta while attending law school at the University of Denver. Following law school, Dr. Batuello started his legal career as an attorney in an aviation defense law firm in Denver, Colorado for three years. Dr. Batuello was responsible for defending airline industry clients against product liability and personal injury claims and actions in both state and federal court. He then decided to expand his education and attended medical school at the University of Colorado, graduating with a medical degree in 1995. As a physician-attorney, Dr. Batuello assists Kresl & Singer’s clients by providing sophisticated evaluation of the medical-legal issues involved in malpractice suits and actions before the Colorado Medical and Nursing Boards. His particular interests include product liability, highly complex medical cases, and appellate law.